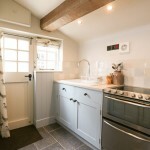 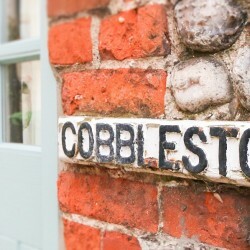 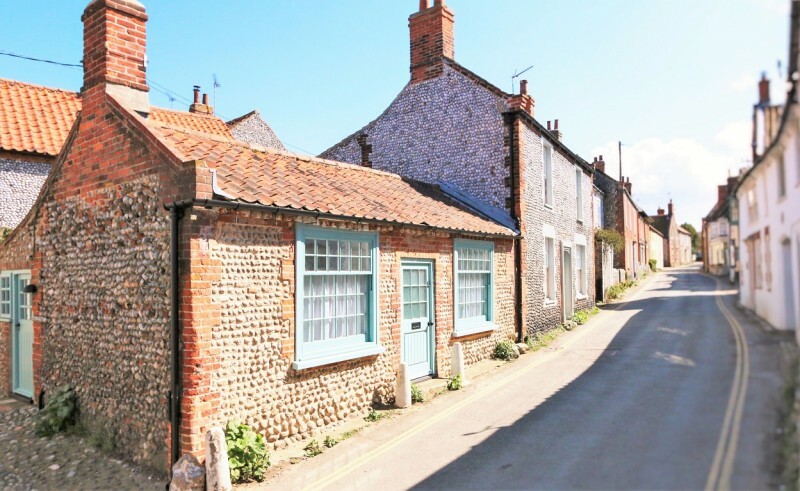 Cobblestones is an absolutely gorgeous, brick and flint fishermans cottage just a stone’s throw from The Quay in Blakeney on the North Norfolk Coast. 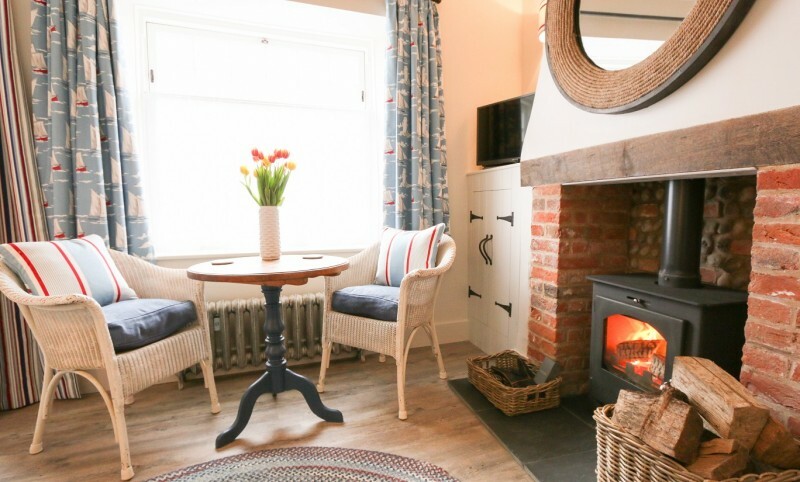 This cosiest of cottages sits at the entrance to one of Blakeney’s oldest renowned ‘lokes’ lined with hollyhocks and had recently been renovated to the highest of standards. 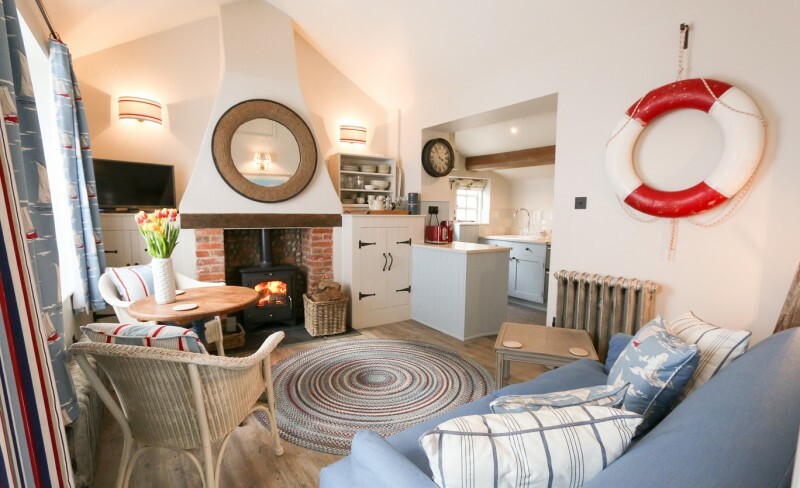 The clever owners have created a stunning nautical/coastal interior that suits Cobblestones location and history perfectly and was designed to reflect Blakeney’s seaside heritage. 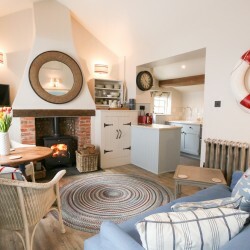 The cottage combines all of the modern comforts one expects in a high-end holiday cottage whilst retaining oodles of charming character. 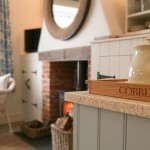 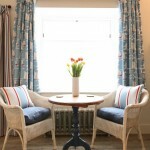 The cottages cosy sitting room focuses around the feature fireplace with its lovely wood-burning stove. 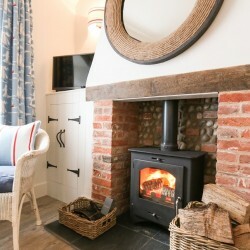 This can easily heat the whole cottage when lit but the owners have also fitted cast-iron radiators for year-round warmth and comfort. 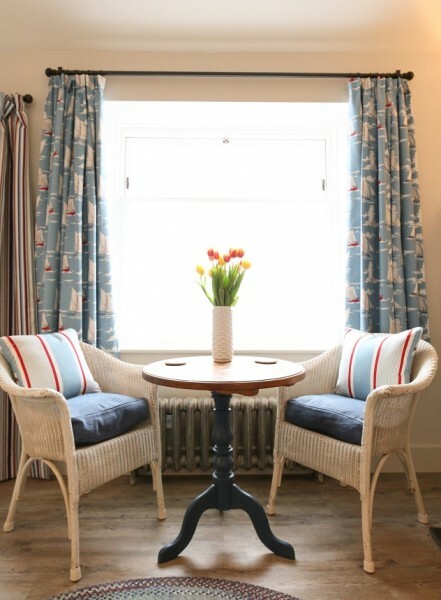 The large sash windows, open-plan layout and high ceiling give the main living area a stunning light and spacious feel which is so important in smaller properties. 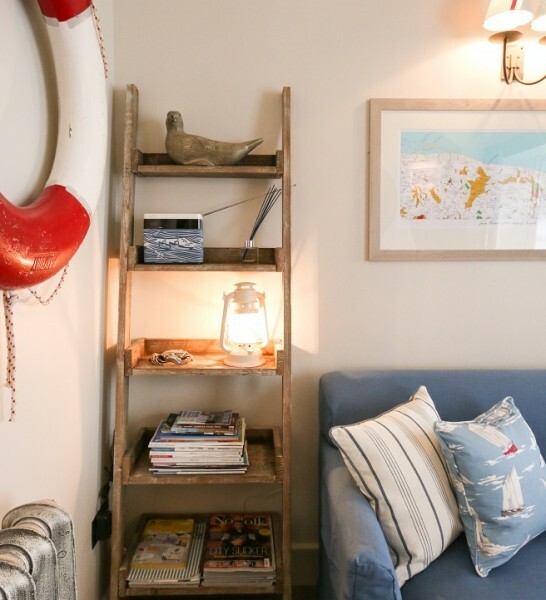 There is an LED SMART T.V. 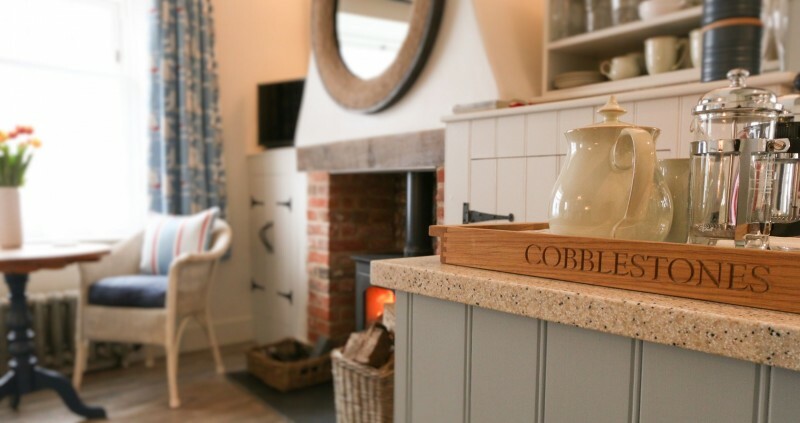 with FreeView with a DVD player and Cobblestones benefits from super-fast fibre-optic broadband which is unlimited and free for guests use. 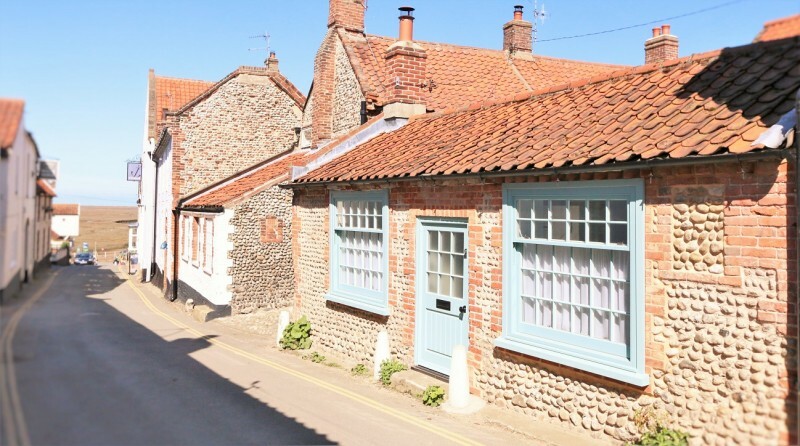 The well equipped kitchen has everything needed whether whipping up a gourmet meal or just heating up one of Blakeney Deli superb home-made ready meals… very conveniently it is just a few doors up the road! 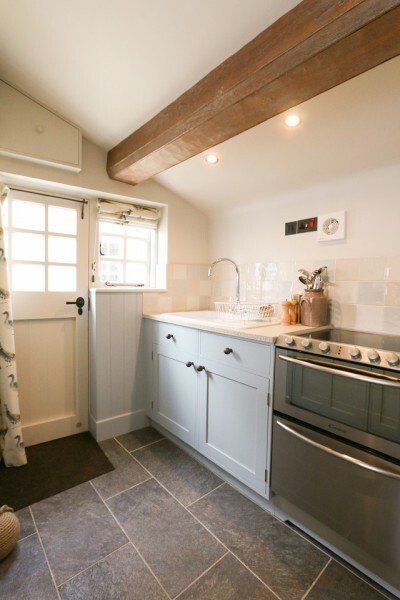 A feature in the kitchen is the incredibly clever combined oven, induction hob and dishwasher – we haven’t come across one of those before! 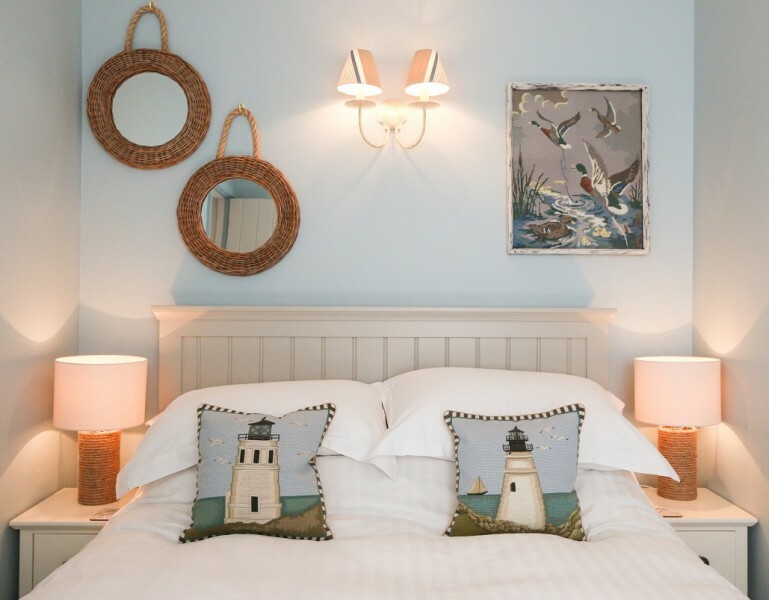 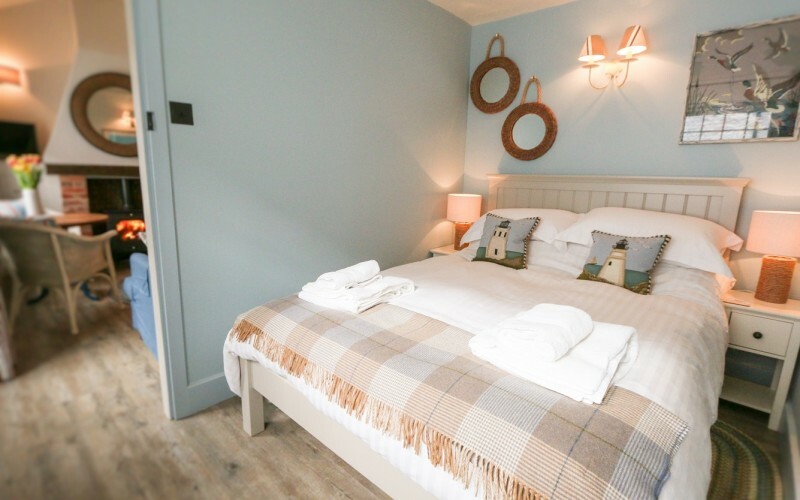 The snug bedroom has another large sash window and is therefore light and bright; with a luxury double bed, goose-down quilt and plump pillows guests are guaranteed a comfortable nights sleep. 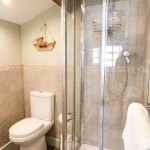 It offers good wardrobe storage for all the clothing needed for the variety of activities that the local area offers. 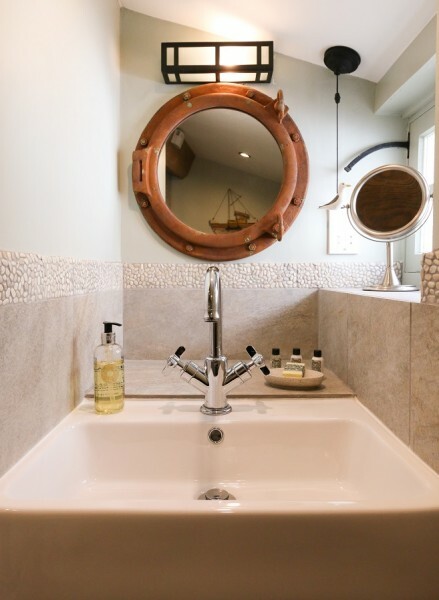 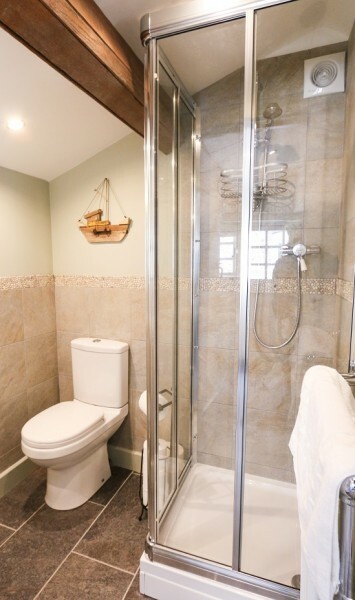 The stylish shower room is decorated with cobble stones and showcases lovely hand-made toiletries from the Natural Soap Company in Wells. 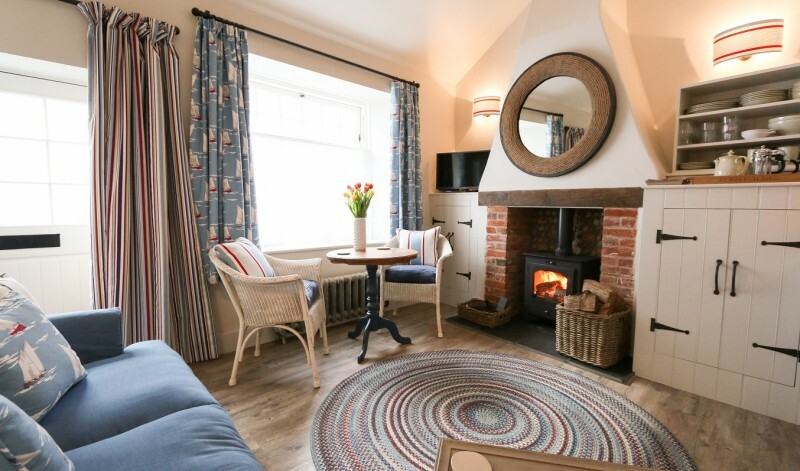 There can’t be many romantic bolthole’s that come close to Cobblestones for anyone looking for a coastal retreat away from the hustle and bustle of every day life. 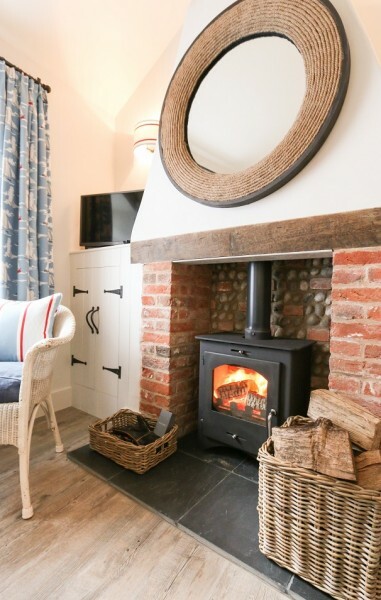 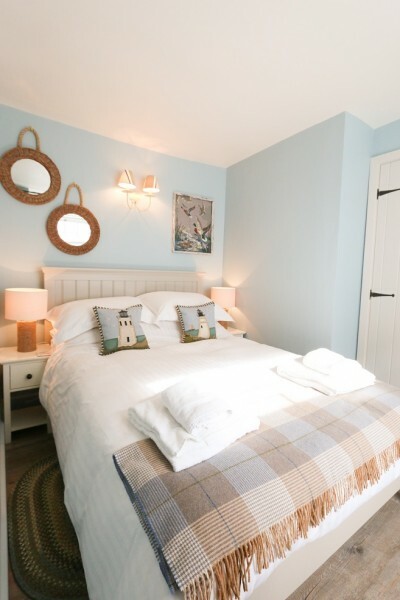 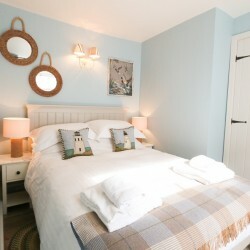 Just as perfect for short-breaks as it is longer-term holidays it really is the ideal base for couples exploring the many nearby attractions and gourmet dining experiences available in Blakeney and throughout North Norfolk.